Everyone knows that Bali has beaches; it's one of the main reasons people travel half way across the world to visit the Island of Gods. Whether it's the exotic black volcanic beaches of the west or the soft white sand beaches in the south, there's sure to be something for every type of beach-goer. Visitors are bound to have heard of the beaches at Kuta, Nusa Dua and Sanur, but what about those that are a little harder to find, tucked away down a beaten track or nestled below secluded cliffs? Here we share some of our favorite hidden beaches in Bali... It may take a little longer to get there, but it's worth the effort! 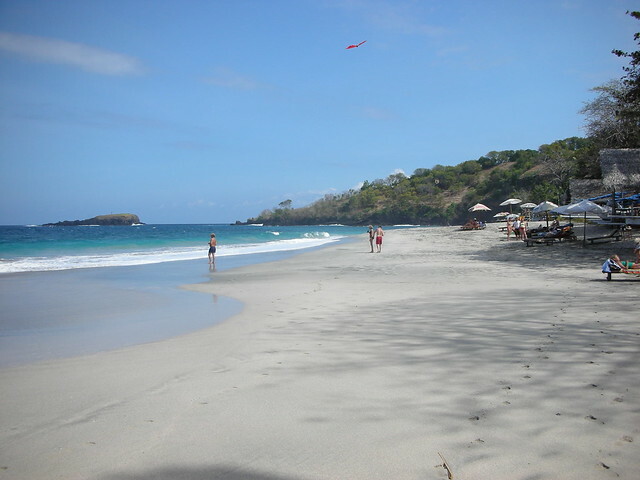 Perasi Beach is also known as "White Sand Beach" or "Virgin Beach" and is located in the Karangasem regency in East Bali. If you're looking to get away from the crowded beaches like Kuta and Sanur in the south, then this beach is for you. No hotels, villas or any other tourist accommodations are visible from Perasi Beach, only views of Gili Biaha on the horizon. There are a couple of food stalls and shops that offer local food, snacks and beverages for visitors, and it's also possible to rent an umbrella and sun loungers for the day. Located about 4.5 km east of Candi Dasa, Perasi Beach is about one and a half hour's drive from Denpasar. Follow the Jalan Raya Candidasa-Bugbug main road to the village of Perasi and look out for a dirt road opposite the village’s Pura Bale Agung temple that leads to the beach. Signs may display various names such as "White Sand Beach", "Virgin Beach" or "Pasir Putih". It's then a one-kilometer drive down a bumpy track to the beach, where parking is available under shady palm trees. Balangan is a favorite hangout for surfers and is located on Bali's Bukit Peninsula, not far from the world-famous break at Uluwatu. It's possible to spend the night at Balangan, either at one of the guesthouses on the bluff or at one of the beach shacks right on the beach. White sun umbrellas line the stretch of sand at the base of the cliffs and is the perfect place to soak up the sun while the surfers amongst you catch some waves out front. 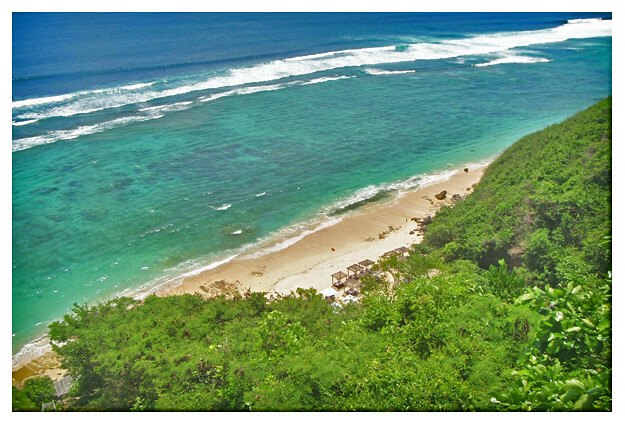 Getting to Green Bowl can be quite a task but once there, you can expect a quiet, secluded beach and world-class surf. Located on the southern coast, next to the derelict hotel site of the Bali Cliff Resort, visitors need to walk down hundreds of concrete steps to reach the beach. At the base are a few bat caves; pretty harmless during the day as most of the bats are asleep. Green Bowl is known as one of the best surf spots on the island, and is not suitable for beginners. Access is from the long stairway at the temple next to the closed Bali Cliff Resort. The name "Amed" actually refers to several small fishing villages located along Bali's East coast. With breathtaking sunrises and excellent diving and snorkeling, Amed is a favorite weekend destination of ours. The charming seaside villages are fairly spread out, so they don't feel like they're on top of one another and the views of Gunung Agung are another reason to stay a while and take it all in. 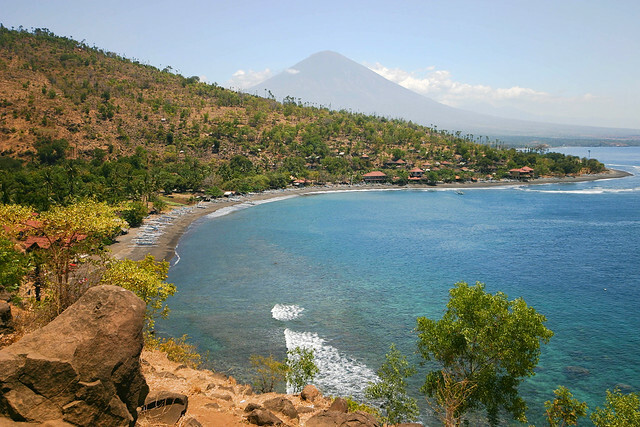 Amed is about two and a half hours from the south, passing through the Karangasem and Klungkung regencies. It's also a great base from which to explore other local attractions such as the Tirta Gangga Water Palace and Goa Lawah Temple. Dream Beach is located on the southern shores of Lembongan, with fine white sand behind a row of palms and thorny shrubs. There's also simple beach-style accommodation, as well as a cafe serving local food. This private beach is part of Karma Kendara resort, located in Ungasan on the Bukit Peninsula, and is also known as Nammos Beach - the name of the private beach club of the same resort. Access down to the beach is via a funicular, with views of the white sand beach and azure waters. Nammo's Beach Club charges an entrance fee which you can then use against the price of food and drinks, mainly of a Mediterranean style. It may seem a little pricey, but spending a day on a private beach without the hassle of hawkers bothering you every five minutes is worth it. Being waited on hand and foot doesn't hurt either! Another little slice of paradise is the private beach located below the Semara Luxury Villa Resort in Ungasan. The best part is getting to this beach, via a two-minute funicular ride between two cliff walls. A fee of Rp.250,000 per person is charged for outside guests which is later deducted from the food and drinks bill (an excuse to indulge in the delicious menu created in a semi-open kitchen). Finn's Beach is family friendly and is the perfect way to enjoy the sun and the sea. To get to the beach, take the road down Jalan Pantai Selatan Gau in Ungasan and follow the Finns signs. 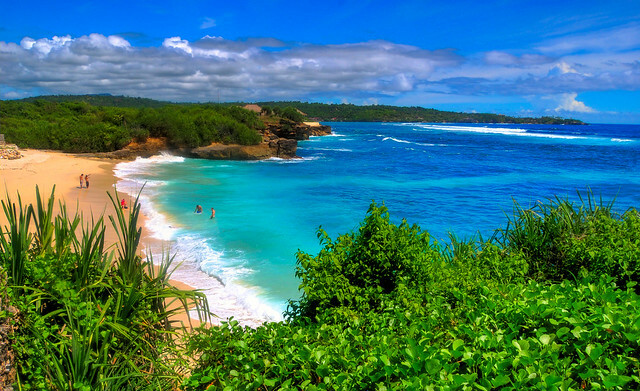 The west coast of Bali has a different look and feel, with black volcanic sand beaches and pounding surf. The waves at Balian attract surfers from around the globe and accommodation is easy to find. Balian is situated at the mouth of a wide river and is roughly a two-hour drive from Seminyak, depending on the traffic. The road to Gilimanuk can be a bit of a hairy drive, so take care and be patient with all the trucks traveling to and from Java. 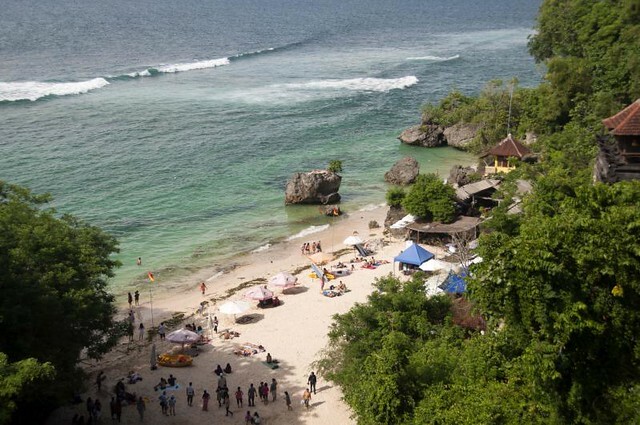 Last but by no means least on our list is the sweet little bay of Padang Padang. 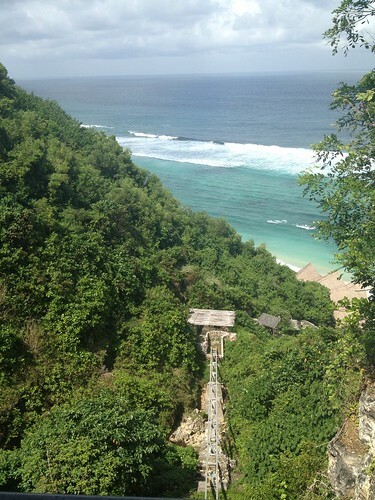 Situated on the way to Uluwatu, access to the beach is down a flight of stairs that pass through a stone crevice. Padang Padang is also a world-famous surf spot and when it's big, you can watch some of the best surfers on the island doing what they do best. For non-surfers, it's a great beach to just chill out and catch some sun but bear in mind that at high tide, there's not much beach at all.